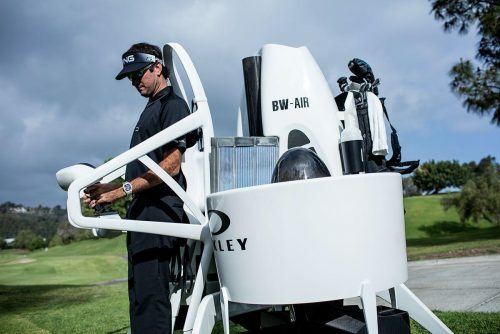 A few years ago, Bubba Watson and Oakley teamed up to create the Bubba Hovercraft, which looked a lot like a big raft and allowed you to travel anywhere on the golf course. If all courses had the hovercraft, pace of play would improve dramatically since there would be no off limits… eliminating those times where players would have to walk back and forth from ball to cart. 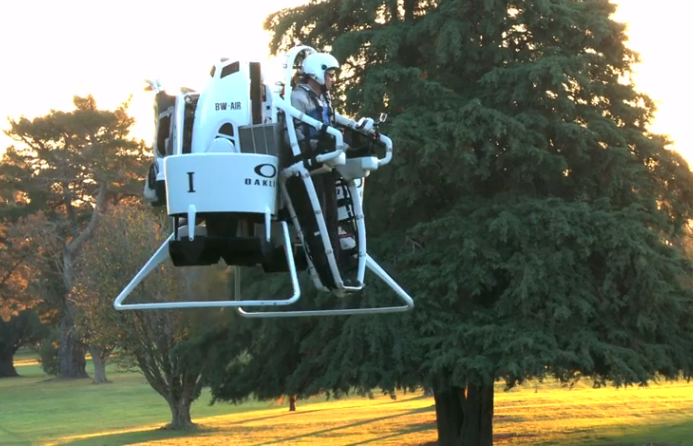 The hovercraft was game changing, but Bubba and Oakley didn’t stop there. The duo are now in the lab working on something called Bubba’s Jet Pack, and the result of their work seem incredible. Check out this video, which talks about the specifications of the jet pack, along with its golf advantages. Besides the fact that it looks like a ton of fun, it does make sense. Players will be able to travel faster, take the shortest route to their ball, get a personal flyover of the hole, and much more. Hopefully nobody travels 3,000 feet in the air, though, as that seems a bit much. Of course, it will probably be a while, if ever, before we see these implemented at local golf courses, and even if they are, not just anybody will be able to operate them. There will certainly be steep fees, and all kinds of waivers. If you do find yourself in the driver’s seat of one of these, just make sure your bag is secure… and yourself, of course. Brian researches, produces, and contributes content for Pro Golf Weekly.